Interestingly that among the signs of times in Matthew 24, "love growing cold" and "wars and rumours of wars" seem to go hand in hand. 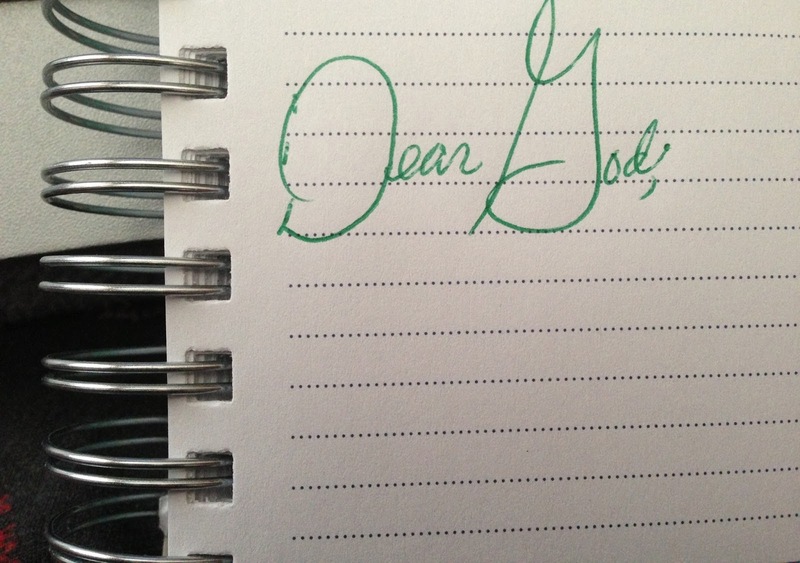 Remember Joe? Yeah, he is anti-social and his jokes are disgusting. It is such an utter shame that he abandoned his family! But maybe, just maybe if we take the time and effort to forgive him and shower him with love, just maybe, he would come around. You might even be surprised by his many hidden qualities! Maybe he took a wrong turn somewhere in life, but he too, is a child of God. Our accusations won't help him to find the way. Only peace and love will do that. Dear Lord, help us be the one to forgive today. Show us who we can reach out to and share Your love. In Jesus’ Name, Amen. Bob Butler lost his legs in a 1965 land mine explosion in Vietnam. He returned home a war hero. Twenty years later, he proved once again that heroism comes from the heart. Butler was working in his garage in a small town in Arizona on a hot summer day when he heard a woman's screams coming from a nearby house. He began rolling his wheelchair toward the house but the dense shrubbery wouldn't allow him access to the back door. So he got out of his chair and started to crawl through the dirt and bushes. "I had to get there," he says. "It didn't matter how much it hurt." When Butler arrived at the pool there was a three-year-old girl named Stephanie Hanes lying at the bottom. She had been born without arms and had fallen in the water and couldn't swim. Her mother stood over her baby screaming frantically. Butler dove to the bottom of the pool and brought little Stephanie up to the deck. Her face was blue, she had no pulse and was not breathing. Butler immediately went to work performing CPR to revive her while Stephanie's mother telephoned the fire department. She was told the paramedics were already out on a call. Helplessly, she sobbed and hugged Butler's shoulder. As Butler continued with his CPR, he calmly reassured her. "Don't worry," he said. "I was her arms to get out of the pool. It'll be okay. I am now her lungs. Together we can make it." Seconds later the little girl coughed, regained consciousness, and began to cry. As they hugged and rejoiced together the mother asked Butler how he knew it would be okay. Her kind words brought hope to my soul and I wanted to do the same for Stephanie. "There are simply those times when we cannot stand alone. There are those times when we need someone to be our legs, our arms, our eyes or our friend. How can you be the legs, arms, eyes or a friend today? Dear Lord, we pray that we would be the arms, legs or friend that someone needs today. In Jesus’ Name, Amen. 30 Great crowds came to him, bringing the lame, the blind, the crippled, the mute and many others, and laid them at his feet; and he healed them. 31 The people were amazed when they saw the mute speaking, the crippled made well, the lame walking and the blind seeing. And they praised the God of Israel. I found this story about seven-year-old Annie Clark? She goes to Wilson Christian Academy. She won a penmanship contest ... and $1,000. The award is especially meaningful since Clark was born without hands. She writes by moving the pencil with her forearms. Well, this story isn't about Annie Clark. Yes, she is special, but the real special folks who touched me are her parents: Tom and Mary Ellen. The couple has nine children: three biological kids and six who were adopted from China, including Annie. She is one of the four adoptees who have special needs, which affect their hands and arms. Mary Ellen said, "Each time, we weren't looking to adopt a special-needs child, but that is what happened. This was the family God wanted for us." Tom said, Annie is "an amazing little girl. It's a shame because society places so many rules on how people should look, but the minds of these kids are phenomenal." Truly, little Annie is special; but her parents are more special. Here is a couple whose love of the Lord is so big they find it a blessing to welcome into their family children who have been avoided and shunned by others. Then, having done what others might think is extraordinary; they show the Savior's love by teaching those children that God will do great and wonderful things for and with them. These are the kind of people who remind me that the Lord Jesus can do great things if we let Him work in us and through us. After all if the Lord can help Annie Clark win a penmanship contest, what can't He do with all of us? 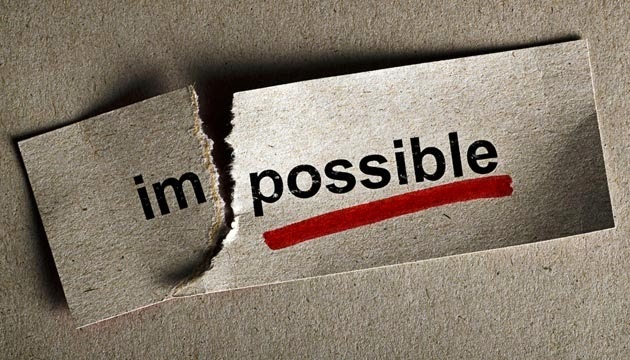 Dear Lord, thank You for specializing in doing what we humans consider to be impossible. We ask that You to grant us the grace to set our limitations to the side and be empowered to do something special through You today. In Jesus' Name. Amen. 1 We must pay the most careful attention, therefore, to what we have heard, so that we do not drift away. 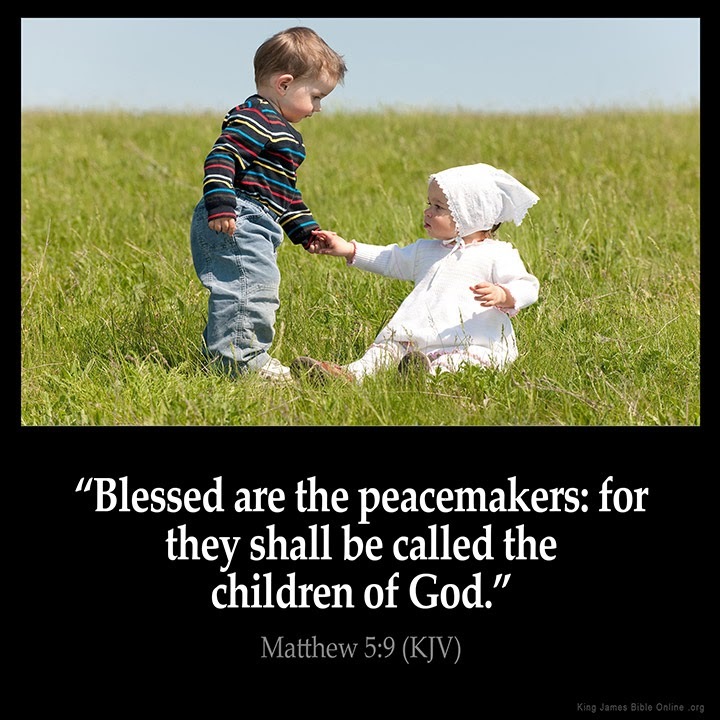 2 For since the message spoken through angels was binding, and every violation and disobedience received its just punishment, 3 how shall we escape if we ignore so great a salvation? This salvation, which was first announced by the Lord, was confirmed to us by those who heard him. 4 God also testified to it by signs, wonders and various miracles, and by gifts of the Holy Spirit distributed according to his will. Moored at Hokkaido, Japan, the 164-foot Japanese ship, the Ryou-Un Maru, was destined to be cut up and sent to the scrap heap. That's when fate intervened in the form of a tsunami. The violence of the waves broke the ship free of its moorings and sent her adrift. She has been adrift on an ever-so-slow voyage across the Pacific ever since. For those of you who are wondering what ever-so-slow means, in this case, in recent weeks, it means the ship has been moving forward at the rate of a mile a day. Of course, a drifting ship is not a good thing. When a drifting ship sneaks into the crowded sea lanes, there is always the danger of collision. 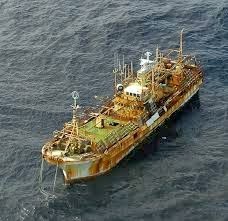 If the drifter goes aground and breaks up, there is an oil spill to contend with. Nobody knew how much diesel fuel was still left on the Ryuo-Un Maru, but her tanks could hold up to 2,000 gallons of the black stuff. That could be a mess. All of this explains why a U.S. Coast Guard cutter put an end to the ship's drifting. At first, the U.S. vessel peppered the Ryuo-Un Maru with 25 mm shells. Then they switched to the more powerful 50 mm. It took about four hours for the vessel to go down in 6,000-feet-deep water and 180 miles from the Alaskan coast. Nope, aimless drifting is not a good thing: not for a ship, not for a Christian. That's the warning the writer of the book of Hebrews was giving when he wrote: "we must pay much closer attention to what we've heard lest we drift away." It makes little difference whether you lived then or now, there are many voices trying to drown out the true redemption message the Lord has given us in the life, suffering, murder and resurrection of His Son. You're heard those voices. There are those who say, "Jesus' substitution for us never happened and the Bible is a myth." There are others who say, "Some of it happened, but we can't be sure what is truth and what is fiction. And, of course, there are those who say, "It doesn't make any difference what you believe as long as you sincerely believe in something." To any and all who would undermine Scriptural truth, our Daily Devotion passage counters with this encouraging reminder: look closely and don't drift. Jesus has risen and salvation's work is done. Pay attention and believe: by faith in the risen Redeemer we are saved. Dear Lord, we pray that You will keep us safely anchored in the truth of Scripture. Thank You for the salvation You completed by dying on the cross and raising again. In Jesus’ Name. Amen. Many people in the Western world now use GPSs for navigational purposes. It is really a fantastic tool. You set the address or coordinates into the tiny computer, and it tells you what road to take, how many miles or kilometers it is, and even how long it will take you to get there. It can tell you where there is gas and food, it can even tell you where the nearest hospital can be found! But anyone who has a GPS knows that it can also be a frustrating tool. Once you program a route, there is no stopping. Even if you just pull off the road at a rest area or gas station, you immediately hear the annoying voice of the GPS telling you that you are no longer on the intended route. If you continue in your "wayward" way, the GPS will ask you repeatedly to make a U-turn, and if you persist in ignoring it, it will continuously tell you to turn right or left, trying to get you back to the original route. Once off the path the GPS will NOT STOP telling you to get back to the intended route unless you either turn it off, cancel your trip or hit the "mute" button. 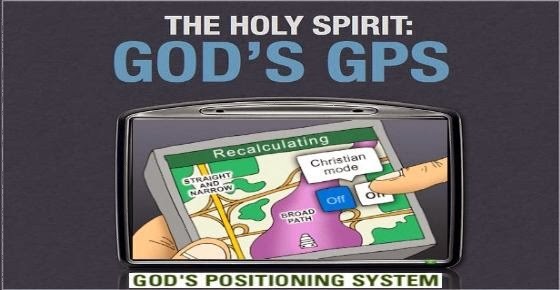 The GPS is very much like the Holy Spirit. God has given us a guide. God's Spirit will guide us. He will keep us on the right path. But we can choose to "press the mute" button! We can ignore God's Spirit and continue to do our own thing. 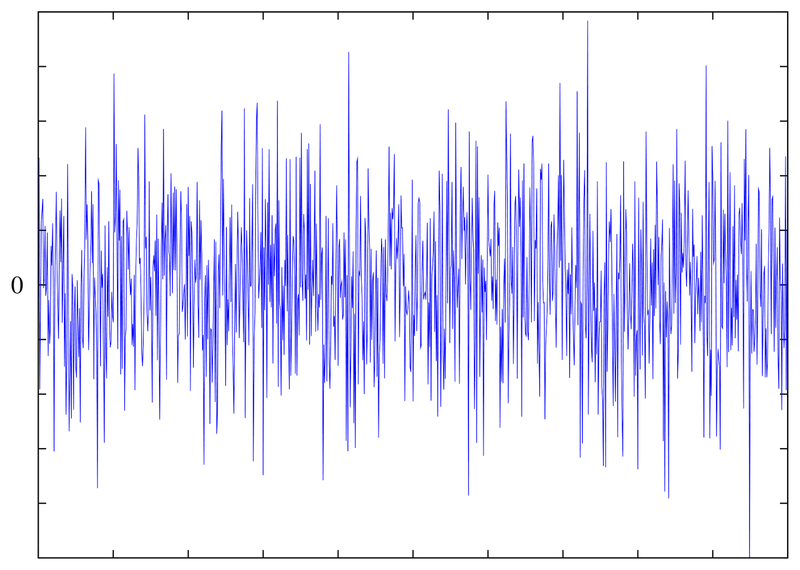 The problem is, the consequences could be more harmful than turning down the volume on the GPS! The worst that can happen with the GPS is that you get lost! But if I ignore God's Spirit, if I continue to go my own way, despite the warnings and heedings of the Holy Spirit, you will also get lost-spiritually lost! you will quickly fall into sin, you will miss opportunities to witness, you will miss opportunities to help others, and you will make wrong decisions, ones that can have lasting consequences, to name a few. Dear Lord, we thank You for given us our very own GPS. Thank you for the Holy Spirit that leads us and guides us. Help us to follow your directions. In Jesus’ Name, Amen. Open my eyes that I may see…. But if we continually seek the sun, we will eventually see it. Even a midst our worst nightmares, our loving Father in heaven gives us the possibility of seeing beyond what we can see. 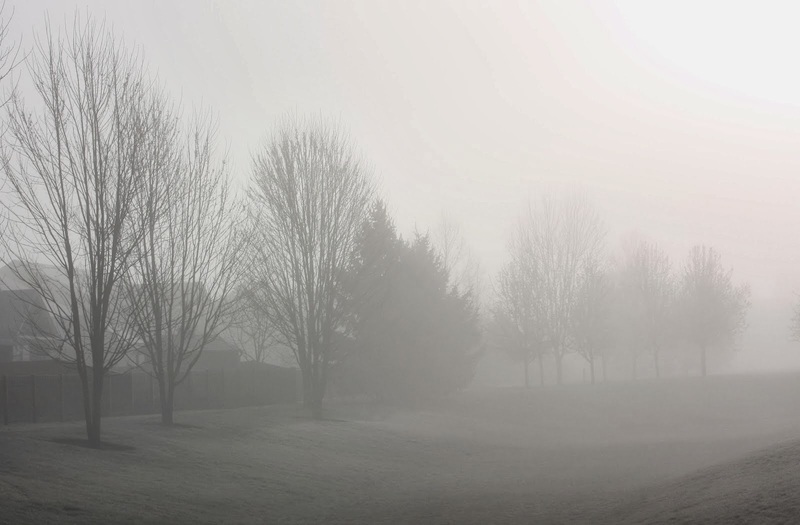 No matter how dense the fog, we can see Him shine as brightly as ever before. But this can only be done if we ask and believe. Dear Lord, thank You that when we are surrounded by the dense fog of adversity, You are there! Help us to not let ourselves be discouraged. 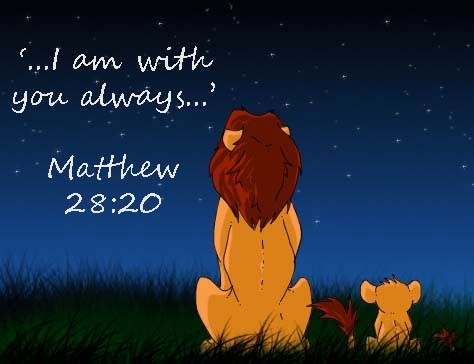 Thank You for always being there for us, In Jesus' name, Amen. All we need to do to have such a wonderful gift is to stop running away from God! We need to accept His offer. We need to welcome Him, as well as His adoption, into our lives. Are you lost and desperate? There is hope. Come to the One who will never turn you down. Experience His love for you. Dear Lord, Thank you for rescuing us when we were totally lost and desperate! Thank you for bringing us home and allowing us to experience Your love. In Jesus’ Name, Amen. Where are You? How can You watch and not help me? I hurt so bad, and You don't even care. If You cared You'd make it stop or let me die. I love You, but You seem so far away. I can't hear You or feel You or see You, but I'm supposed to believe You're here. Lord, I feel them and hear them. They are here. I know You're real, God, but they are more real to me right now. Please make someone believe me, Lord. Why won't You make it stop? Please, Lord, please! If You love me You'll let me die. Many Christians are filled with such confusion that their daily walk with Christ is unfulfilling and unproductive. When they try to pray, they begin thinking about a million things they should be doing. When they sit down to read the Bible, they can't concentrate. When they have an opportunity to serve the Lord in some way, they are brought up short by discouraging thoughts of self-doubt. Having found freedom, "The Lost Sheep" penned a response to her own prayer based on her new understanding of God's provision in Christ. You ask Me where I am. My child, I am with you and I always will be. You are weak, but in Me you are strong. I am so close that I feel everything you feel. Be crucified with Me and I will live in you, and you shall live with Me. I will direct you in paths of righteousness. My child, I love you and I will never forsake you, for you are truly Mine. We are never alone. Have you wandered away from God today? He is right where is always has been, come back to Him with open arms. Dear Lord we thank You for always being there. Help us not let the business of life get in the way. Thank You that even when we wonder You are their ready to welcome us back. In Jesus’ Name, Amen. the flames will not set you ablaze.suffer many things and be rejected by this generation. 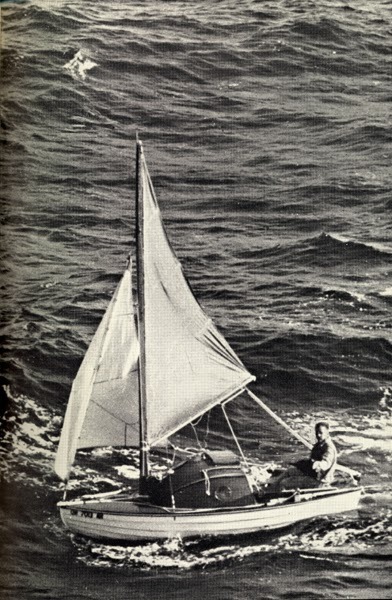 For many years Robert Manry held the record for piloting the smallest ship ever to sail the Atlantic Ocean. The trip aboard his boat, the "Tinkerbelle," had difficulties you and I couldn't imagine. For example, because he was afraid of being run over, Manry did not dare to sleep when his craft was in the shipping lanes. The rudder of his vessel broke several times. He was often washed overboard, saved only by the rope he had tied between himself and his 13-foot vessel. After 78 days at sea, Manry sighted land at Falmouth, England. Two months at sea had left him with only this desire: he wanted to tie up his boat, find a hotel room, and get some sleep. The enthusiastic crowd that welcomed him had other ideas. A fleet of about 300 boats, all blowing their horns in salute, came out to greet him. Forty thousand well-wishers lined the docks, cheering him in. Manry had sailed alone, had suffered at sea alone, but he received a hero's welcome! Of course, Manry is not alone in suffering. Others, like Manry, have also suffered to complete their goals. Like Manry, most of them have been congratulated for their accomplishments. But that was not the way it was for Jesus. When He died, there were no crowds cheering Him on. The only shouts were people rejoicing over His pain. For Jesus, there was no hotel room where He could rest. There would only be the dark, borrowed tomb. When He rose from the dead, there would be no crowd of 40,000 well-wishers to acknowledge the event. As He suffered for humankind, He tasted the rejection of the very people He had come to rescue. 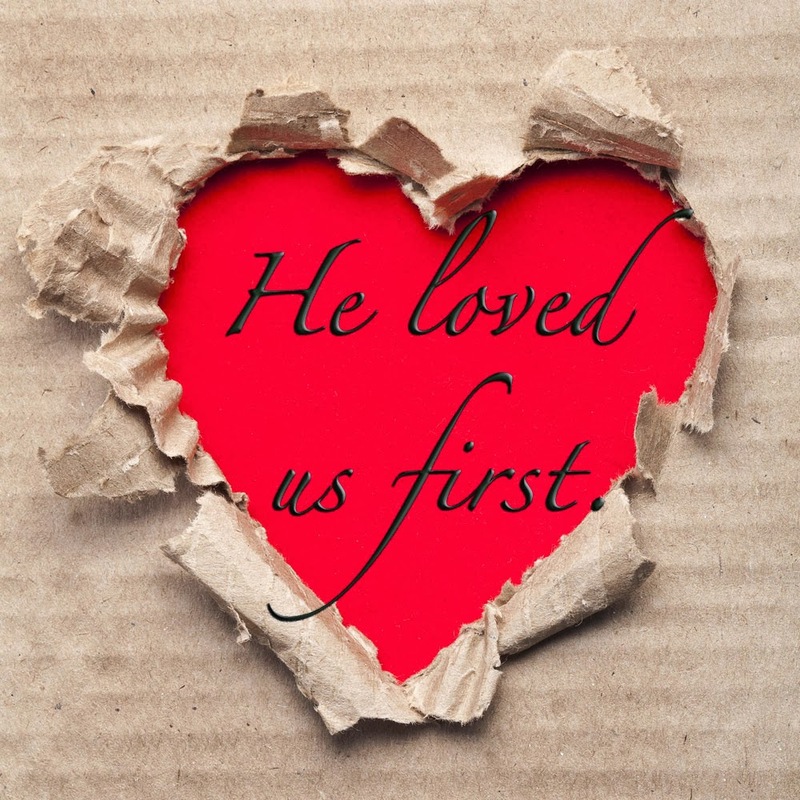 Fulfilling the Father's plan of salvation for all who would believe in Him was a lonely one. We need to realize Jesus' life, death and resurrection -- which won our salvation -- was not something He had to do. Nor was it something we had earned. Jesus' sacrifice was birthed out of God's goodness, greatness and grace. Back then, Jesus' life was lonely. It shouldn't be the same today. Today you, and I, and all Christians ought to spend our lifetimes thanking Jesus for having endured rejection without objection, for having done all that was needed so we could be saved. Dear Lord, thanks You that because You are with us, we are never alone. We give thanks for Your presence in our life now and Your blood-bought salvation for our eternity. In Jesus’ Name, Amen. Have you rejected Judah completely? Mother Teresa is Albanian by birth; her original name is Agnes Gonxha Bojaxhiu. In 1948, she became a citizen of India. She received her spiritual training in Dublin, Ireland and Darjeeling, India and she became a nun in 1937. 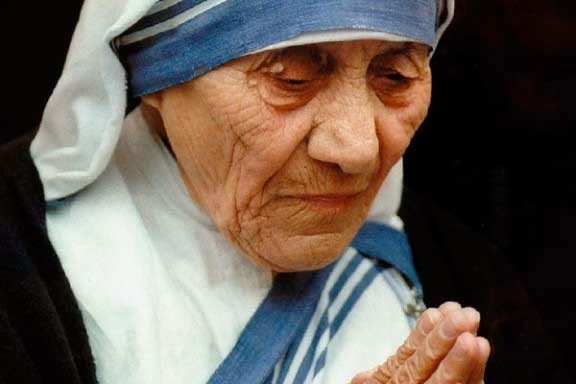 In September 10, 1946, after teaching for twenty years at a high school in Calcutta, India, Mother Teresa received another call from God to serve the poorest of the poor who lived in the streets. Archbishop of Calcutta Henry D'Souza knows that at times in her life, she felt abandoned by God. He said that in one letter, she wrote that she had been walking the streets of Calcutta searching for a house where she could start her work. At the end of the day, she wrote in her diary, "I wandered the streets the whole day. My feet are aching, and I have not been able to find a home. And I also get the Tempter telling me, 'Leave all this, go back to the convent from which you came.'" She did find a home and the rest is history. The Missionaries of Charity feeds 500,000 families a year in Calcutta alone, treats 90,000 leprosy patients annually, and educates 20,000 children every year. Everyone at one time or another will feel like God has abandoned him or her. But do not let the feelings fool you - He is always near. Dear Lord, thank You that no matter what we feel You will always be in our heart. Help us share that hope with someone today. In Jesus’ Name, Amen. I think all of us want someone who understands and has time for us! We are so accustomed to being needed for something we can offer and not being wanted just because we are who we are. Did you know the God of the Bible wants time with you? This thought seems very far-fetched and probably even more difficult to believe; however it is very true. 1 Thessalonians 1:4 tells us God actually chose us to be His people because He loved us so very much - what a sobering thought. God chose you! I don’t know what’s going on in your life, at this very moment, and the loneliness you may be feeling; however God is fully aware of who you are and where you are at, having all the time in the world just for you. You are not a bother to Him; in fact, He loves it when you come to Him with your every concern and care; whereas other people might be just too busy to be distressed with your problems. 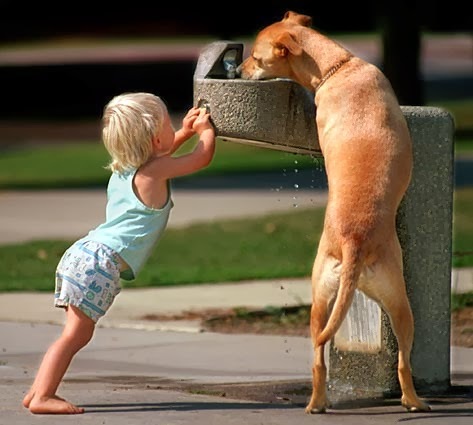 I don’t believe people mean to be rude or indifferent to other people’s burdens, not always anyway. I think they are so absorbed in their own issues; they cannot stop to lend a helping hand. But I am so eternally grateful for God’s schedule always being open, and His eagerness to commune with my heart makes me grin ear to ear. I encourage each of you to bring your burdens to the ONE who loves you whole- heartedly, with the knowledge that He is never too busy to listen and help. If a family member, friend, or associate seems to brush you off, as people can sometimes do, just remember: they feel the same way you do, and are looking for someone to be open to them and have time for their needs. God’s schedule has your name written all over it; try your best not to miss an appointment with Him because He desires the opportunity to show you just how much He cares. Dear Lord, thank You for always being there and wanting our time. Help us to bring our burdens to You and to help others not feel they are alone. In Jesus’ Name, Amen. Three times I was beaten with rods, once I was pelted with stones, three times I was shipwrecked, I spent a night and a day in the open sea. I wonder if Adrian Vasquez feels blessed or cursed. He might feel he is cursed because he had to bury two of his friends at sea. On February 24th he and his pals went fishing. They were headed back to their home port of Rio Hato when the boat's motor conked out. After two weeks, one of the lads stopped eating and drinking. He died on March 10th. Because of dehydration, sunburn and heat stroke, Vasquez's second friend passed away on March 15th. When their bodies began to decompose, he had to consign them to the sea. Now you know why Vasquez might feel cursed. And why should he feel blessed? Sometime after his water had been depleted, it stormed. It stormed enough that Vasquez was able to refill that five-gallon water container. That water and the raw fish he was able to catch sustained him for the rest of his ordeal. But there's more to Vasquez's blessings. By a minor miracle he was spotted by some commercial fishermen. 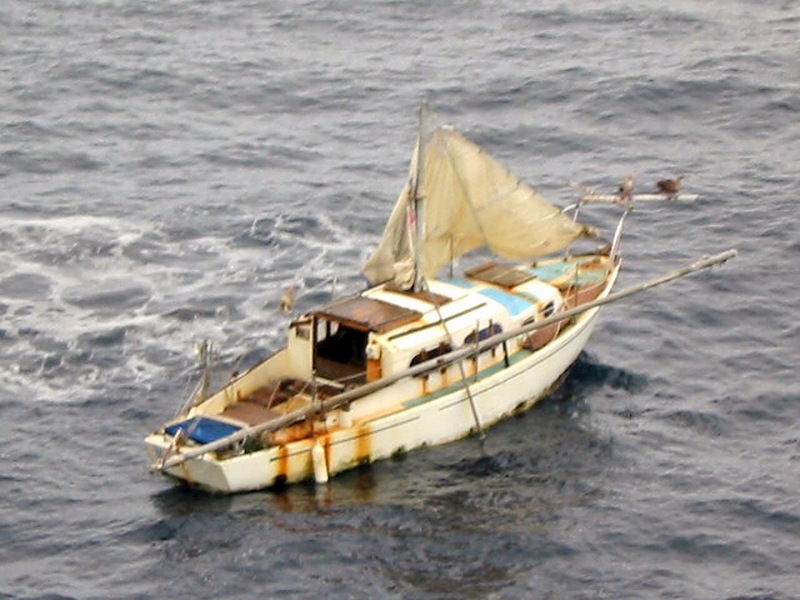 They picked him up and turned him over to Ecuador's Coast Guard. Vasquez had been adrift for 28 days. That beats St. Paul's "a night and a day" adrift at sea. Still, I wonder if when you're adrift, when you don't know what is going to happen -- or if anything is going to happen -- it doesn't make any difference how many days pass. You're really, truly alone. Now it's true no human knew where Vasquez was, but that doesn't mean he was alone. The living Lord Jesus Christ who had given His life to save Vasquez's eternal soul was fully aware of the lad's location. Indeed, there was never a moment when Vasquez managed to slip off the Lord's radar. Now if that's true for Vasquez, it is also true for you. Although I don't know what your situation or circumstance might be, it is possible you may feel you are alone ... lost ... adrift. If that describes you, remember, the Lord knows, and He cares, and He is with you. We have a Savior, a Redeemer, a Friend -- a very present help in time of trouble. Dear Lord, when we feel adrift, send an extra measure of the Holy Spirit, so we might realize and appreciate the blessings of having You as our Savior. In Jesus’ Name. Amen. At the end of World War II, a large banquet was held. Numerous, long-winded speakers held forth but none could outdo the toastmaster who droned on and on and on. Finally he finished his presentation and announced, "And now, ladies and gentlemen, our foreign secretary will give his address." The secretary stood up and walked to the microphone. He took his notes out of his jacket pocket, unfolded them, and sat them down on the podium. He said, "Dear friends, I have been asked to give my address. In the five minutes which remain to me, I can do that. Here is my address: #10 Carlton Gardens, London, England." He sat down to appreciative applause. The foreign secretary showed his agreement with a plaque that is hung in the office of a Christian businessman. It reads, "Lord, fill my mouth with worthwhile stuff and shut it when I've said enough." What a great idea! It's an idea that God understands and uses. Unlike me, you, and so many other people who always seem to be talking and never listening when God speaks, His mouth is filled with worthwhile stuff. With frankness and honesty not often seen in today's world. Our Lord lets us know what we need to know. Of course, high up on that list would be knowing the Savior whose life was the ransom price paid to rescue us. 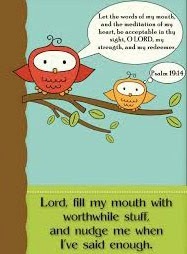 Dear Lord, fill our mouths with worthwhile stuff and shut it when I've said enough. In Jesus' Name, Amen. Happily ever after doesn't always come with ball gowns and white horses. Most of the time, it comes with sweat pants and minivans . . . but that’s ok, because if it comes from God, it’s perfect and nothing less. Dear Lord, thank You for being the author of love. Thank You for the design of love that You have shown us in the creation of Adam and Eve. Thank You that our love is made complete because of You. In Jesus’ Name, Amen. Two psychiatrists met at their 20th college reunion. One is vibrant, while the other looks withered and worried. "So what's your secret?" the older looking psychiatrist asked. "Listening to other people's problems every day, all day long, for years on end, has made an old man of me." "So," replies the younger-looking one, "who listens?" 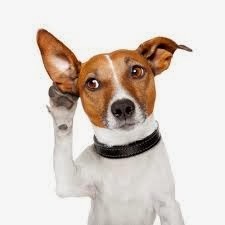 Unfortunately, that is too often a problem -- who listens? REALLY listens? The story is told of a 22-year-old electrician who went to Manhattan a few days after the September 11, 2001 terrorist attacks. 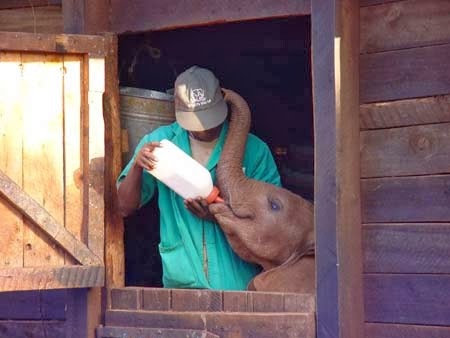 He wanted to volunteer his time, but discovered that his skills were not needed. Joe may have helped in a way he never anticipated, for on the train home, he sat across from a weary firefighter covered in what appeared to be "ground zero" dirt and debris. Though he could see bits of rock in the man's hair and noticed that his hands were bloody, what shocked the young man most was the look in the firefighter's eyes. They appeared lifeless and dull. Then the man began to talk and Joe listened. He talked about retrieving a shoe with a foot inside. Joe listened. He talked about cleaning debris from a face, then discovering that this person's body was gone. Joe listened. And as his listened, he did not flinch. He did not react in disgust. He did not judge. He did not interrupt. He just listened. He listened as the firefighter lamented about the carnage everywhere and about shoes...there were so many shoes, he said. Everywhere...shoes. Through it all Joe quietly held the man's attention and listened, which is exactly what the rescue worker needed at that moment. And because he listened, the man continued to speak. He talked his pain out, as much as possible. And Joe, for that time at least, helped him carry his unbelievably heavy burden. That day Joe did not give blood, nor did he use his electrical skills to help with the relief effort. But he did one of the most important things a human can do for another. He gave a stunned and disheartened man his whole attention, and thereby immeasurably assisted in the work of setting the world right. Dear Lord, we pray that we would really listen to those around us. Help us not just hear the words with our ears but help us hear with our heart. Use us today to listen to someone in need. In Jesus’ Name, Amen.